Daet, Camarines Norte - The digital presence of Daet and Camarines Norte (CamNorte) became noticeable last year when Daet on The Dot made its way to its stakeholder. Initiated by Mayor Tito Sarion of the municipality of Daet, he spearheaded a Digital Marketing Workshop and Bootcamp. Apart from this initiative, bloggers from Daet also take part in promoting the town and province as a whole. From Places. Last summer of 2014 and 2015, I had to opportunity to revisit Daet and a few other towns of CamNorte. Visita Iglesia in CamNorte was more than just a road trip but more of a Pilgrimage. Food places in Daet is as interesting like any other Bicolano brands out there. The green lush forest along the way to CamNorte is always refreshing. 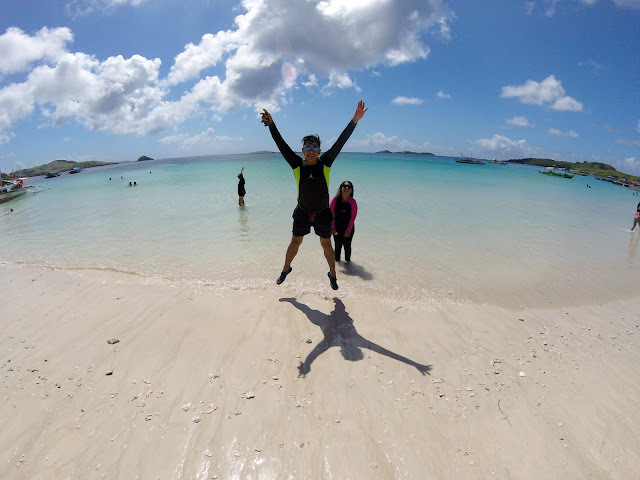 The mesmerizing islands and beaches of Mercedes is a perfect alternative to Calaguas. 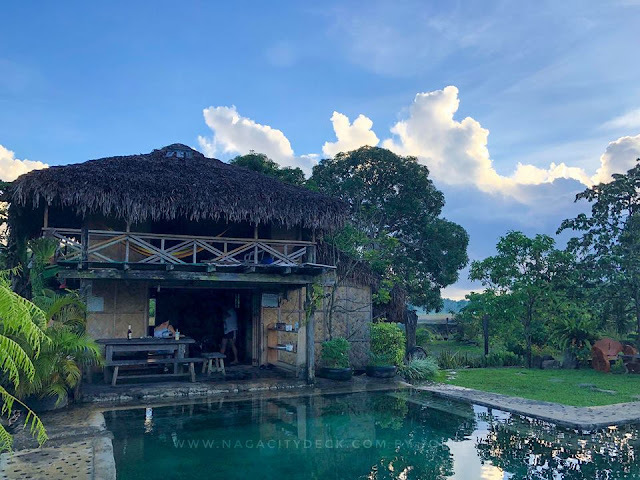 With all these travels, I can say that there's more to explore in CamNorte but writing about it at some point in time made me reconnect with the other Camarines. More than this re-connection with my fellow Bicolanos, traveling around my own region is somehow an eyeopener that apart from all these rich biodiversity and beautiful tourist destinations, lies in the background the impoverished communities. As a seasonal travel blogger, I could not help but think that it's a bit ironic that with all the lavish tourism promotions, the question really lies on how does these promotions really get to the hands of the locals in the form of basic needs? Is it possible for us to remotely help the locals per se of Daet after featuring them? With this new website introduced to me, I think this is possible. To People. 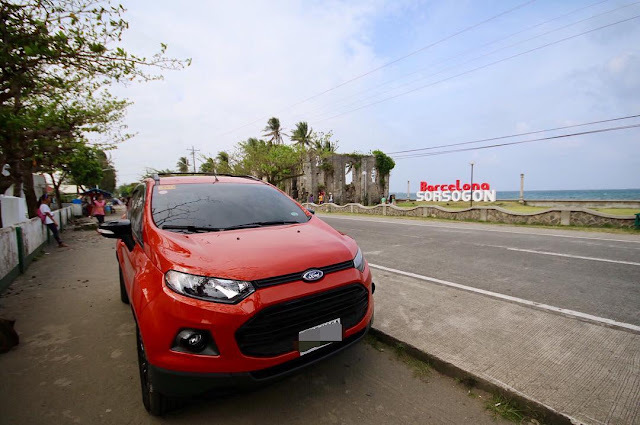 More than what CamNorte can offer to tourists, the people of Daet has also something special. Promoting other provinces in Bicol has always been my priority. This time I will be sharing something unique, about a group of Daetenyos who are now included in the list of people who are "trying to make a difference". SHOP SELL SHARE the Daet Barato way (Barato, meaning affordable). 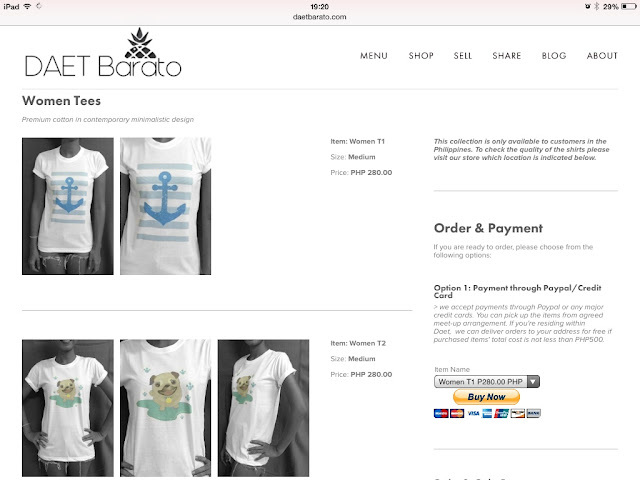 www.daetbarato.com is more than just a online shop because you can Sell and Share the least. The main goal of Deat Barato (DB) is to help the impoverished children of Bicol region and promote tourism in Daet. The core value of the site is promote e-commerce to Daentenyos and at the same time give back 5-10% to charity. The site caters to shoppers both from the Philippines and Singapore. Percentage of the purchases again goes back to their beneficiaries. 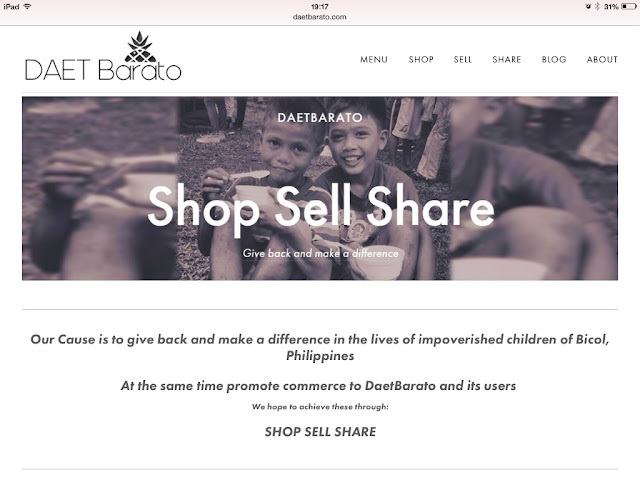 Daet Bareto is technically the first online shop that I have featured with an established affiliate to help their chosen charities. DB started with their goal which is to help the impoverished children of Bicol rather than establishing the shop first. 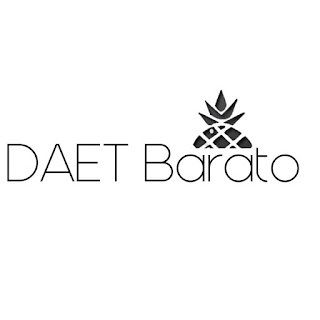 Who is Daet Barato? DB is founded by John Pobre, a dreamer who wants to make a difference in his hometown (Daet) by keeping in mind the impoverished children of Bicol. He is currently based in Bangkok, Thailand. Sometimes I could not help but also feel sad to see fellow Bicolanos leave for other countries. This is an exemption, John may be miles away but he made it a point to help his fellow Bicolanos through Daet Barato. John's sister, Ms. Kats Pobre is the store manager here in the Philippines. Affiliates who implement the outreach and feeding programs are Jocafel Global Foundation non-profit organization which is BIR and DSWD registered and Slicksurf Camarines Norte. 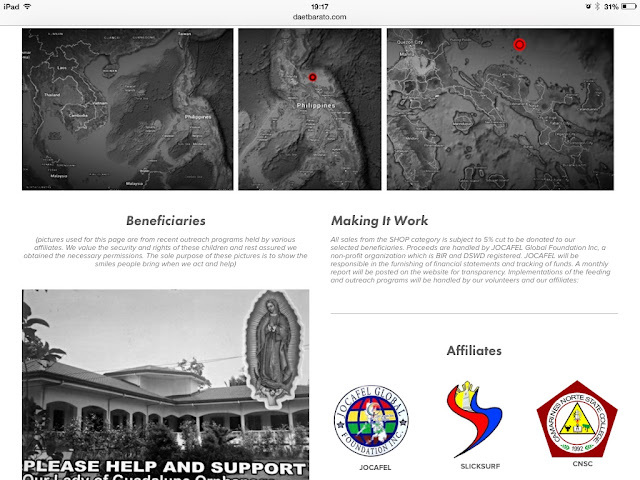 More about the affiliates HERE. SHOP. Products for men and women are quality apparels made in Thailand in minimal but contemporary design at a very affordable price. SELL. Hassle free selling in the right portal. 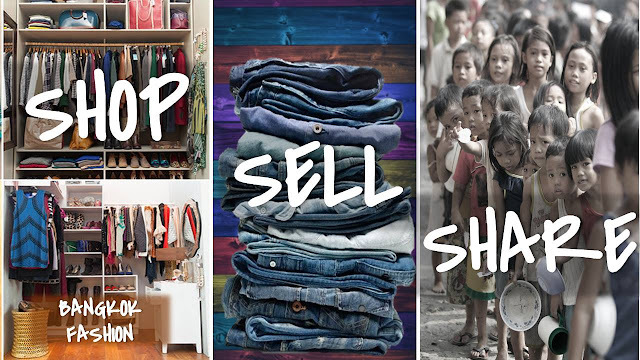 Sell you pre-loved items from clothes, to accessories and even gadgets by visiting their Facebook page www.facebook.com/DaetBarato. Selling via DB is totally FREE you just have to give a part of your sales to help the children of Bicol. SHARE. Talking about legitimacy, Daet Barato is carefully planned organized and linked with proper organizations. Your online shopping via Daet Barato will surely be rewarding knowing that at the back of your mind you are able to put a smile on children. "All sales from the SHOP category is subject to 5% cut to be donated to Daet Barato's selected beneficiaries. You can also directly donate an amount of money via Paypal via the website too. If Daet Barato is trying to make a difference, supporting this cause is also an opportunity for us shoppers to do the same. As we say it in Bicol, Oragon kamo Daet Barato! May you continue being a blessing to our fellow Bicolanos! To my dear NcDeckers, this is a great opportunity for us to help, this might be the most fulfilling shopping spree that you can do. 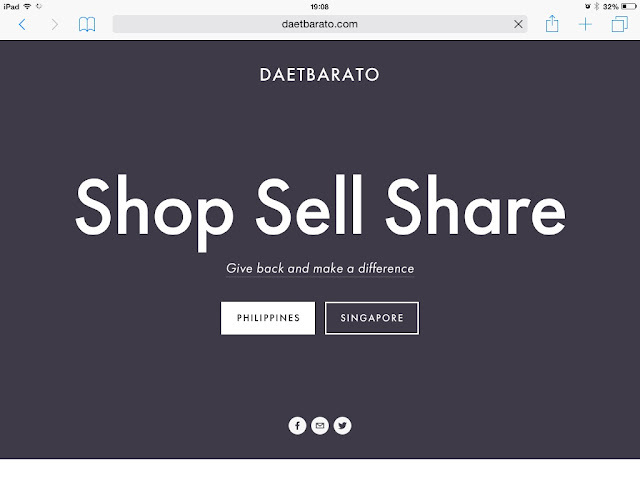 Shop, sell and share at www.daetbarato.com.